Julianne is an Associate Professor of Spanish. She teaches courses for Heritage Learners and Second Language Learners of all levels. Her research interests are heritage language acquisition, bilingualism, language and identity, Caribbean culture and dialect, and the integration of faith and language learning. 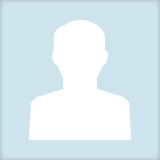 Julianne Bryant updated their profile information.